In Endodontics and Implantology, cone beam computed tomography (CBCT) is used in the diagnosis and preoperative management. The CBCT provides the ability to display a three-dimensional plane, adding depth to the image of the diagnosis. Thanks to radiodiagnosis we acquire a full image that increases our patient care levels, since it decreases the need for undergoing multiple irradiation. Moreover, the three-dimensional display focuses on a particular area, so that the patient receives less radiation dose (98% less) than with conventional CT scanners. 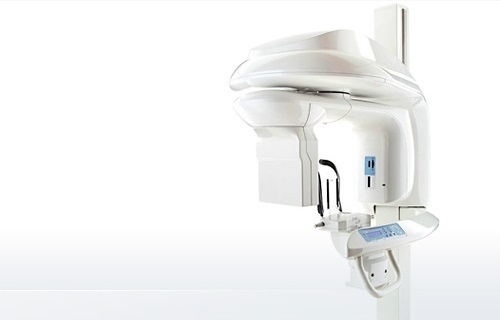 At Dental Place we use Carestream’s CS 9300 Select system. CS 9300 provides excellent image quality at low radiation dose.